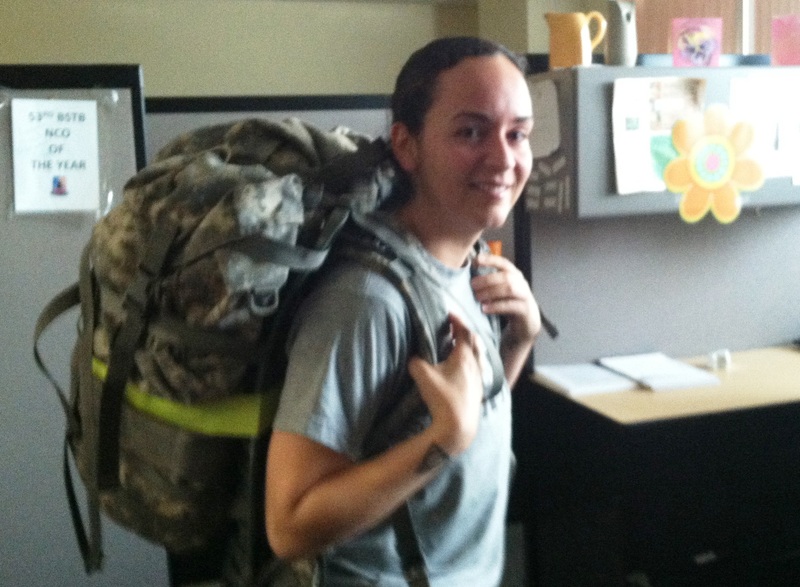 Florida National Guard SSG Aidana Baez with her practice “ruck” weighing 45 pounds – 10 more pounds than what is used in the competition. It is two days of physical competitions, weapons and skills contests, a six-mile “ruck” march and tests on Army regulations. Representing the 53rd Infantry Brigade Combat Team, headquartered in Pinellas Park, is Staff Sergeant Aidana Baez. 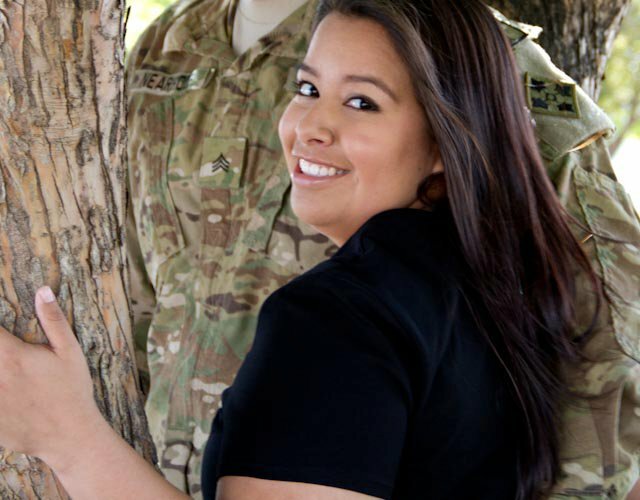 She won NCO competitions at the company level and battalion level to earn the top brigade honor. 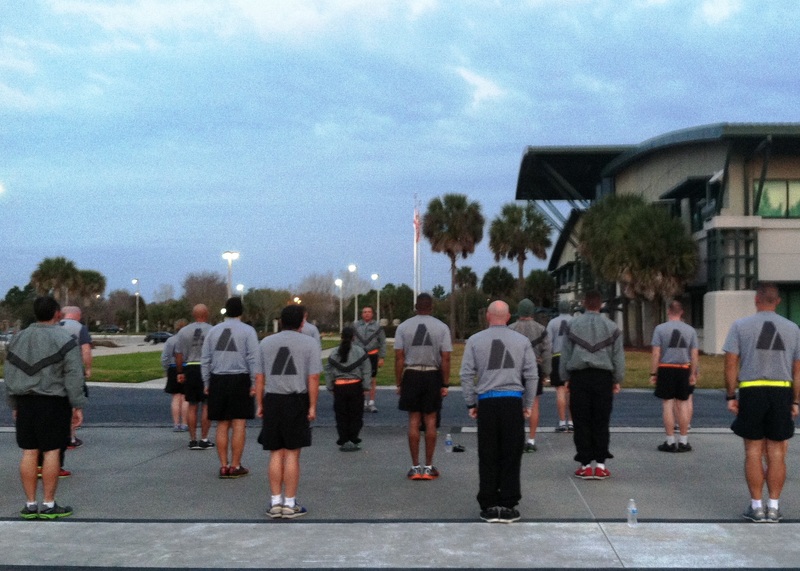 Active Guard Reserves from the 53rd Infantry Brigade Combat Team do PT, physical training, in the parking lot of their Pinellas Park, FL headquarters. The petite soldier beat out competitors from the two infantry battalions, a field artillery regiment and a cavalry unit. Baez said her strength in the competition is knowing the Army regulations which is a sweet irony because she almost got thrown out of the regular Army 11 years ago. Baez holds some of the ribbons and medals she’s earned during 14 years in the military and two deployments, one to Iraq and the other to Kuwait. But the base chaplain and several NCOs stepped up in her defense. She was given a rehabilitative transfer to a new unit. Baez finished her hitch with the regular Army and then moved back to Florida and joined the National Guard. She’s now a staff sergeant known for giving second chances to her soldiers, but they have to earn it. With 14 years of service to her credit, Baez is on a mission to become Florida’s Top Non-Commissioned Officer of the Year. If she wins, Baez will advance to the regional NCO completion in the Virgin Islands. Col. Ralph Ribas will assume command of the Florida Army National Guard’s largest major command, the 53rd Infantry Brigade Combat Team (IBCT), during a ceremony in Pinellas Park Saturday, Jan. 10, 2015. More than 3,000 Florida Army National Guard Soldiers from thourghout Florida belong to the 53rd IBCT which is based in Pinellas Park with subordinate unites in Miami, Orlando, Panama City, Lakeland and St. Petersburg. The change of command ceremony is scheduled at 3 p.m. at the C.W. Bill Young Armed Forces Reserve Center, 2801 Grand Ave., Pinellas Park. Ribas was commissioned through the University of Miami ROTC program in 1987. He currently serves as the deputy commander for the 53rd IBCT and will replace Col. Mike Canzoneri as the unit commander. In addition to serving in the Guard, Ribas also works full time at United States Southern Command, and lives Pembroke Pines. The National Guard celebrated its 376th birthday today, Dec. 13, 2012. 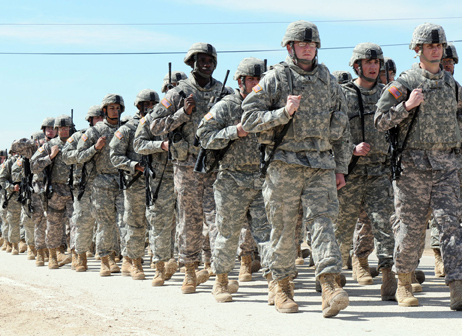 The Florida National Guard currently includes 12,000 citizens – 10,000 Soldiers and 2,000 Airmen. These part-time professional Soldiers and Airmen have civilian careers but spend weekends and evenings training and practicing their military specialties. The Florida Guard reached an important milestone, marking 16,000 deployments since Sept. 11, 2001. The Florida Guard also plays a key role during hurricanes, helping to patrol the southwest border, supported the nation’s space launch program and provided support at the Republican National Convention in Tampa. The Florida National Guard remains a community cornerstone with a heritage established back in 1636 now with 61 armories in 39 Florida counties. Guard Soldiers and Airmen live and work in your towns, their children go to school with your children. The motto: Always Ready – Always There. 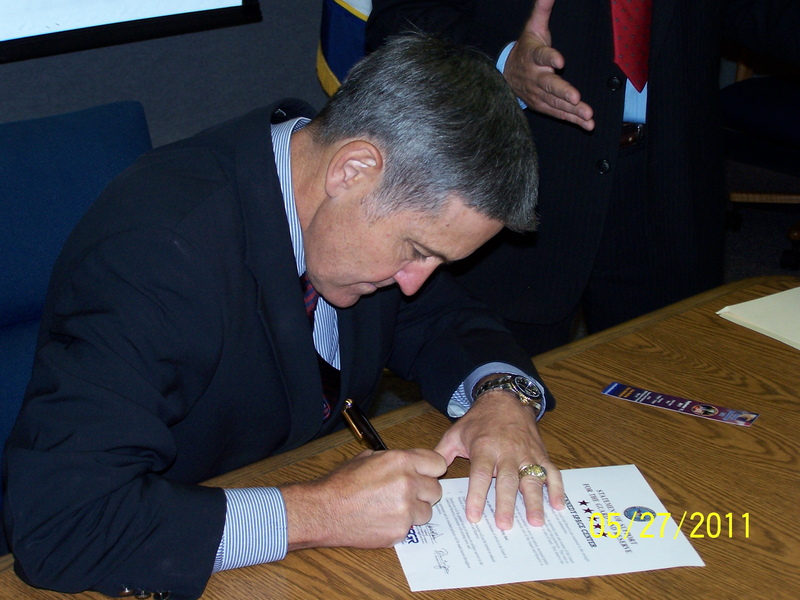 Kennedy Space Center Director Bob Cabana signing the Statement of Support in 2011. Photo courtesy of the Florida ESGR. It’s an annual event recognized throughout the state – the the Florida Employer Support of the Guard and Reserve Day. Yet, the ceremonies held at several sites Thursday aren’t nearly as important as the mission. The ESGR helps employers provide year-round support to the men and women serving in the Reserves and the Florida National Guard. That employer support also extends to the military families especially when their Guard or Reserve member is deployed. Several state agencies including the Florida Department of Law Enforcement, the Department of Corrections and the Fish and Wildlife Conservation Commission signed the ceremonial support agreements this year as did local agencies like the Hillsborough County Sheriff’s Office. “Our Guard and Reserve are essential to the strength of our nation and the well-being of our communities,” stated Hillsborough Circuit Judge Gregory Holder, chairman of the Florida Employer Support of the Guard and Reserve, in a written release. The ESGR is a volunteer organization which provides employers free education, consultation, and mediation if necessary. Alison during pre-deployment photos. Photo by Carolyn Cummins, http://www.shootinforfun.com. Anticipation of Departure for the service member and spouse is different from what I experience as a military mom. The first stage of the emotional cycle of deployment is a very busy time for the soldier and his or her family and brings mixed emotions. The service member is away from home frequently due to extensive training and preparation which touts the reality of the looming separation for the whole family. The bond between unit members grows immensely as they are completely focused on the impending mission. In addition to preparing for the work side of deployments, there are many personal items that need tended to: wills and power of attorneys, house and auto repairs, decisions and arrangements about where spouse will spend the deployment, final visits with family, medical and dental visits–these are just a few. This stage can be stressful for the soldier as he juggles the final preparations for work and home while trying to spend quality time with family. Josh and Alison during pre-deployment photos. Photo by Carolyn Cummins, http://www.shootinforfun.com. 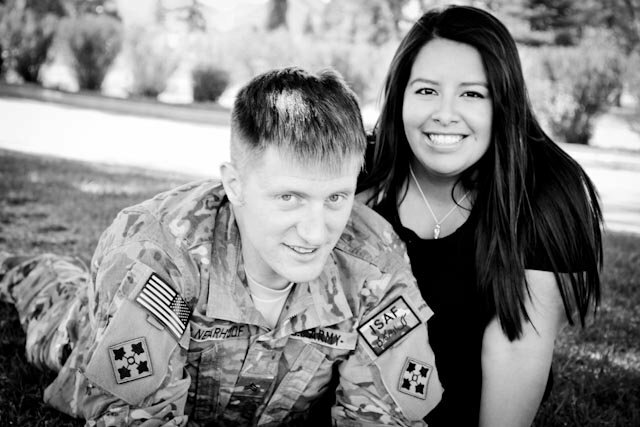 “The anxiety prior to deployment is overwhelming because I feel such pressure to make the most of every moment I have left with Josh while I’m constantly fighting emotions for the loss I am about to experience when I have to say good-bye. Josh and I created a wish list (similar to a bucket list) of things to do before he deployed and we accomplished everything. We truly lived like we were dying and savored every outing and relaxing moment together. I treasure the dinners, movies, walks, fishing trips, hugs, and we had intimate conversations that we struggle with during deployments. We learned a lot about each other and our relationship as husband and wife during the month prior to his leaving. Our fun trip prior to deployment was a hog hunting excursion in Oklahoma which Josh picked. It was both satisfying and sad; I know how much he enjoyed it, but the reality is he wanted the experience in case he doesn’t get another chance. I commend Alison for her strength and willingness to share her innermost feelings. She is a loving and supportive wife to my son and an amazing example and mentor to other Army wives. 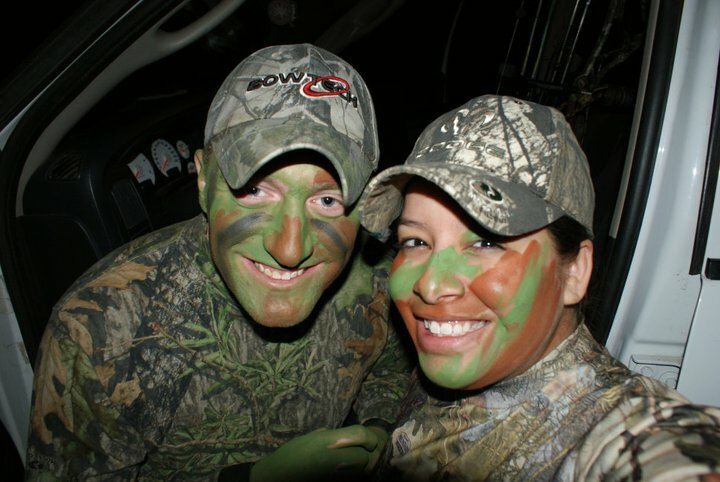 Josh and Alison on their hog-hunting trip prior to his third deployment. 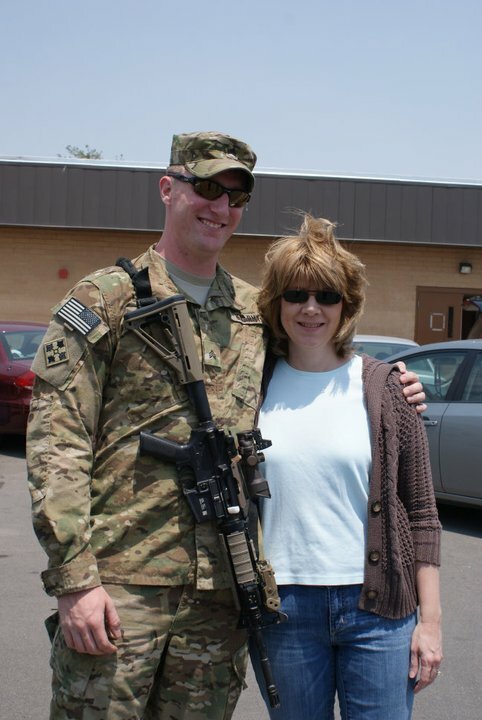 Contributor Tracie Ciambotti and her son Josh on his deployment day, June 2011, at Fort Carson, CO.
Every traumatic event we encounter in life triggers a cycle of emotional responses; military families experience this emotional roller coaster continuously due to the frequency of deployments. Stage 1 – Anticipation of Departure: Begins when the service member receives an order for deployment and ends when he or she actually leaves. 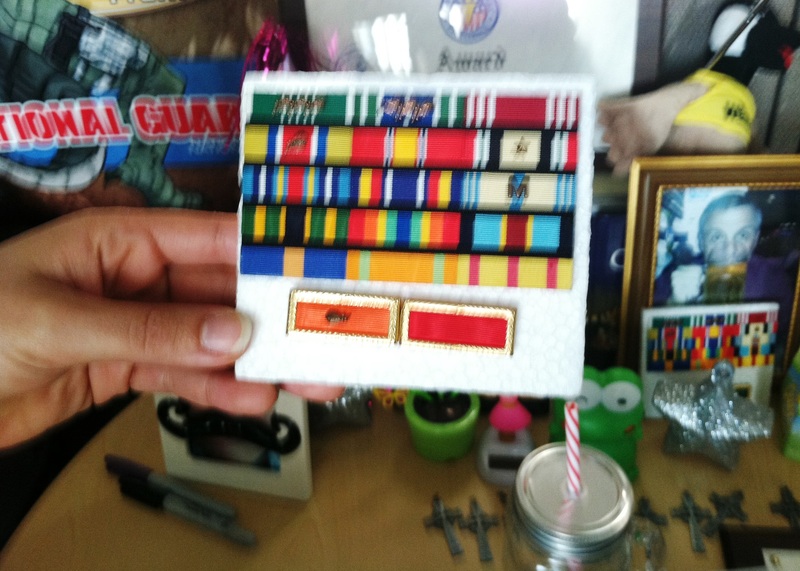 This model was updated in 2006 by Jennifer Morse, M.D., Navy CAPT (Ret), San Diego, CA because of the increased occurrence of deployments that military families experience. 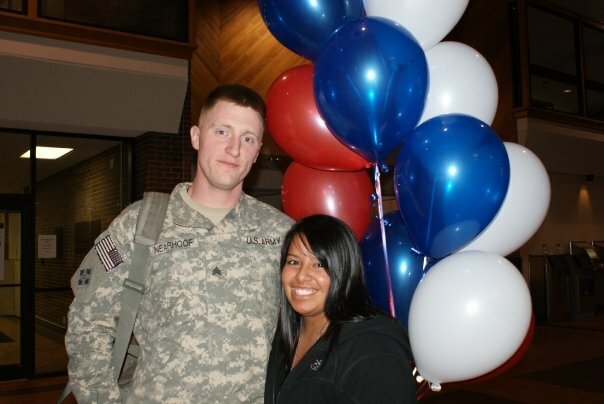 Josh and Alison, his wife, when he returned from his second deployment in Iraq--August of 2009. The detailed description provided in this model pertains to the service member and his or her spouse and children—there is no mention of parents in this emotional cycle. As the mother of an Army sergeant, currently serving his third deployment, I can personally testify that parents go through an emotional roller coaster too. Through a series of posts on this topic, I will share a personal look into the stages of the deployment cycle from the perspectives of various members of my military family: a mother, a wife, and the soldier. I hope to generate an understanding of the challenges faced by the entire family as we experience deployments together. On Monday, we celebrated the signing of the Declaration of Independence on July 4, 1776 by delegates of the original thirteen colonies. The first Independence Day celebration occurred on July 4,1777 although our freedom was not fully achieved until September 3, 1783 when the United States and Great Britain signed the Treaty of Paris and ended the Revolutionary War. America’s first freedom, the dissolution of Britain’s rule over us, was accomplished because men were willing to leave their families to fight and die for this great cause. Now, 235 years later, every freedom that we cherish and sometimes take for granted is defended by the men and women of our Armed Forces. 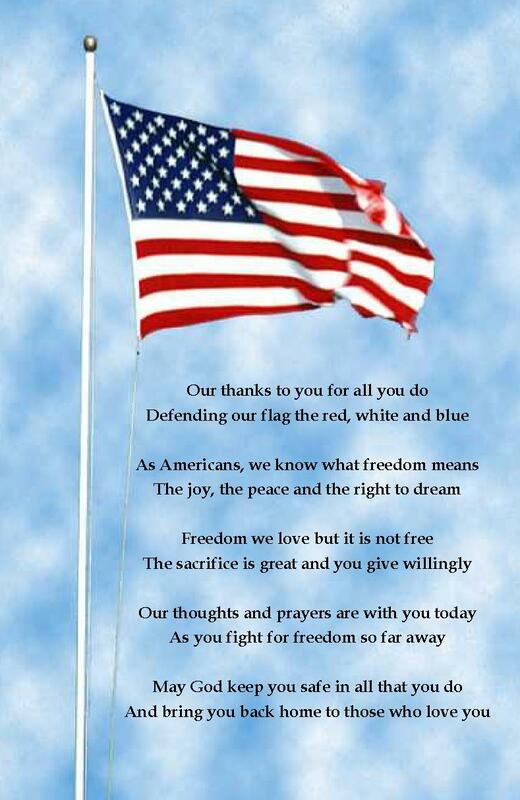 Without the sacrifices and selfless acts of these brave heroes, life as we know it would not exist. 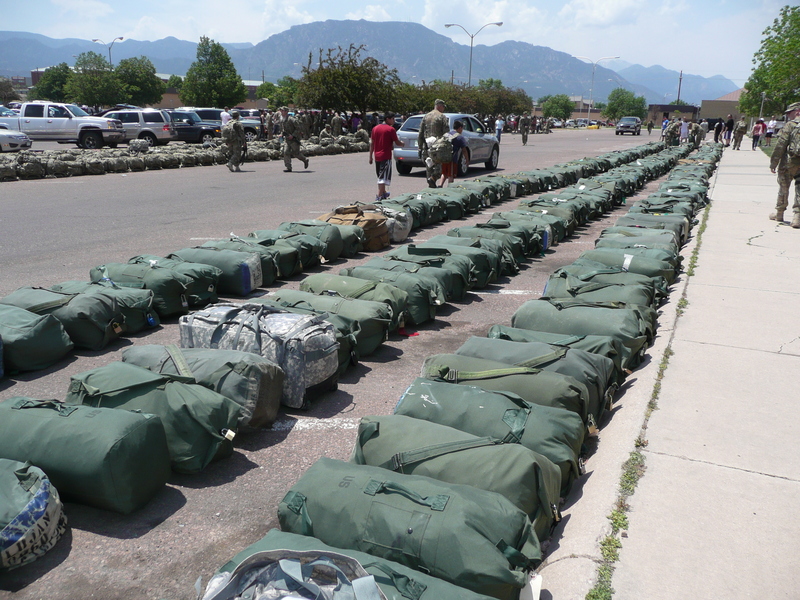 My thoughts on July 4th were on the images of deployment day: the line up of duffel bags at Fort Carson representing families that were about to say good-bye, small children clinging to their daddy’s leg while he was giving mommy that last hug, my son’s final embrace with his wife just after he and I shared ours. Deployment day at Fort Carson for Tracie's son. I tearfully relive the moments standing side by side with Army wives as we watched our men disappear into that gym. Our families are just a fraction of the many military families that are currently separated by deployments. I am reminded of the anguish on the faces of two mothers on the day their fallen hero sons were laid to rest here in Denver. I think of the two wounded warriors and their parents that are part of our Colorado Military Families Ministry group and what they have gone through. July 4th is a day to celebrate our nation’s freedom, but let us not forget to honor the heroes and their families that endure the burden of defending that freedom. A special thanks to all of our men and women in uniform and their families–you are the reason we celebrate Independence Day.